Last week, the U.S. Supreme Court ruled that independent contractors working in transportation cannot be forced into mandatory arbitration, according to a story appearing on Slate. The decision represents an incredible win for labor. It means hundreds of thousands of contractors may pursue their rights in a court of law, instead of arbitration. Arbitration clauses are buried in contracts when consumers take a new job, or sign service agreements with entities such as utility companies, banks, gyms or hospitals. Arbitration clauses state a consumer gives up the right to file a claim against the company in court, submitting their claim to this non-court forum for dispute resolution that’s often one-sided and favors corporate interests. Unlike a court decision, arbitration cannot be appealed. According to the article, the case involved a dispute between New Prime, a trucking company, and Dominic Oliveira, one of its drivers. At issue: Oliveira was required to work as an “apprentice” by completing 10,000 miles hauling freight for free and was forced to complete an additional 30,000 miles as a “trainee,” getting paid approximately $4 an hour in order to become a driver. Designated a contractor instead of an employee, he was forced to lease his truck, buy his equipment and purchase gas from companies either owned or affiliated with New Prime or its owners. Customarily, New Prime would be responsible for all expenses. However, sense Oliveira was designated a contractor, the company deducted the costs from his paycheck. Sometimes his paycheck ended up being in the hole. New Prime essentially charged Oliveira to work for the company. According to Slate, Oliveira filed a class action lawsuit on behalf of himself and tens of thousands of other “contractors” in 2015, alleging New Prime violated federal law by wrongfully classified him as a “contractor” in order to under pay him. Oliveira’s contract with the company required dispute resolution through individual arbitration, instead of court. New Prime argued that under the Federal Arbitration Act, the court must enforce the agreement and dismiss Oliveira’s claims. While the Federal Arbitration Act generally requires courts to enforce arbitration clauses, exceptions include, “contracts of employment of…workers engaged in… interstate commerce.” The article states that New Prime attempted to work around an exemption by arguing that truckers worked as contractors and therefore did not have “contracts of employment,” which disqualified them for the arbitration exemption. The court disagreed, concluding that Oliveira and other truck contractors qualified for the Federal Arbitration Act’s exemption, allowing Oliveira’s class-action lawsuit to proceed in court. Because of this Supreme Court decision, hundreds of thousands of contractors in the transportation field can now get their day in court. This decision is positive for workers. Public Justice played a major role in this victory. Congratulations to Jennifer Bennett, Andrew Schmidt Law and Fair Work Law on this win against big corporation acting badly for their client, trucker Dominic Oliveira. 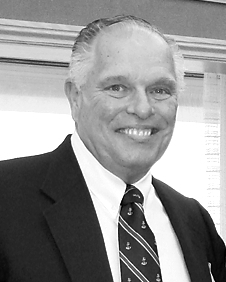 Wayne Hogan is one of the original members of Public Justice. He has served on the Case Development, Membership, Communications, Development, Special Projects and Executive committees as well as the Public Justice’s Board of Directors.